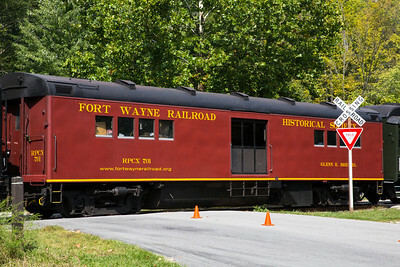 Anything having to do with railroads or trains. 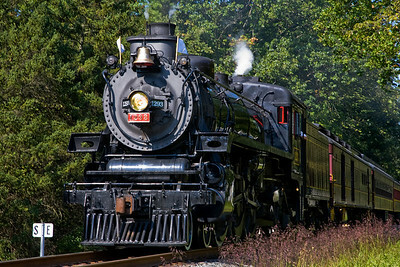 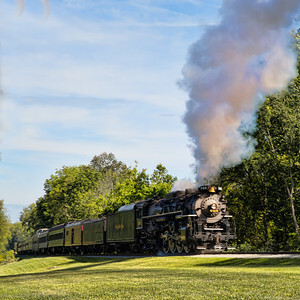 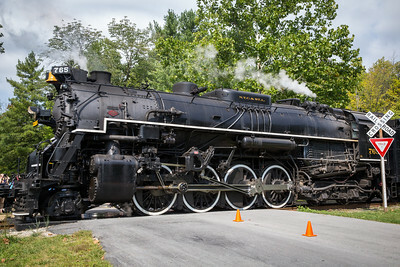 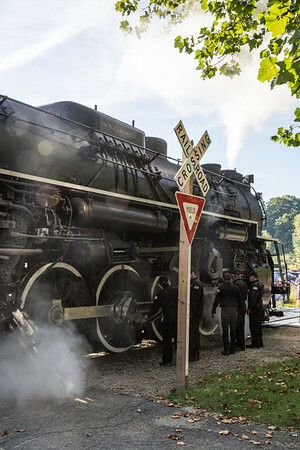 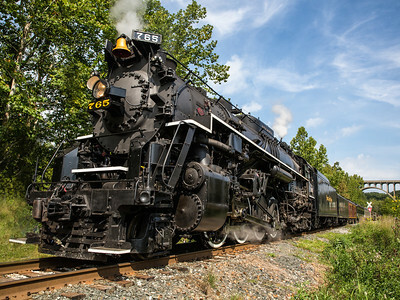 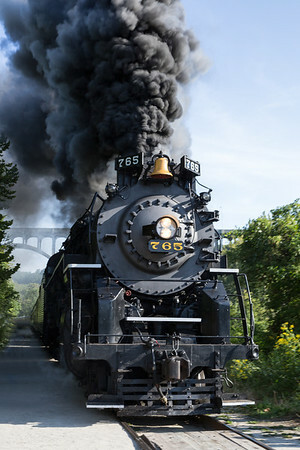 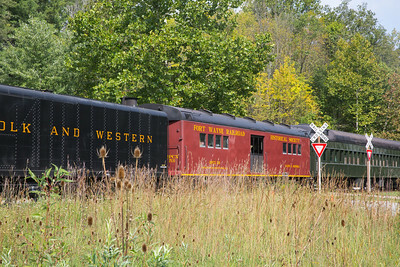 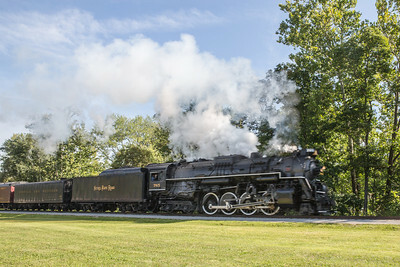 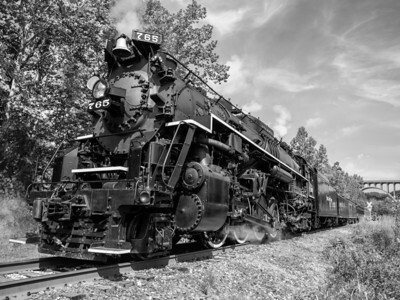 Historic coal-powered steam locomotive No.1293 on its visit to the Cuyahoga Valley National Park. 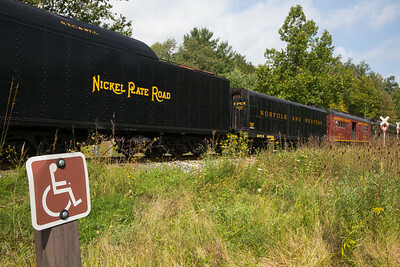 It is pulling a coal car, baggage car, and passenger cars as it heads slowly down the track to pick up waiting passengers. 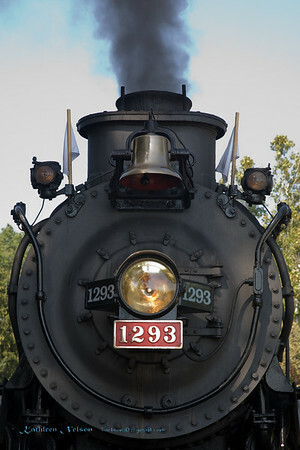 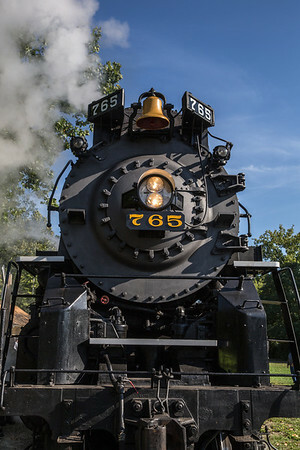 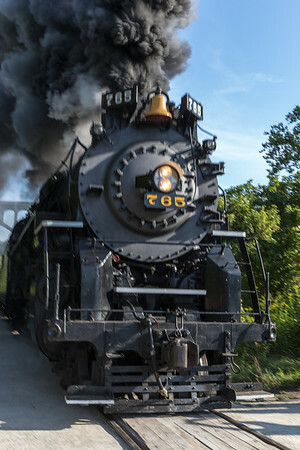 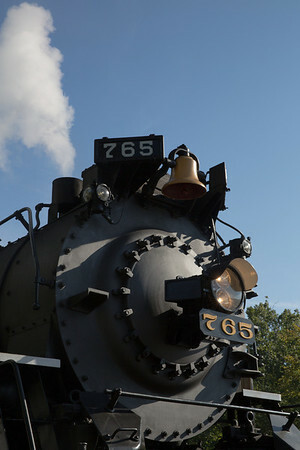 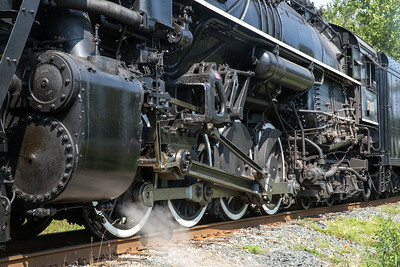 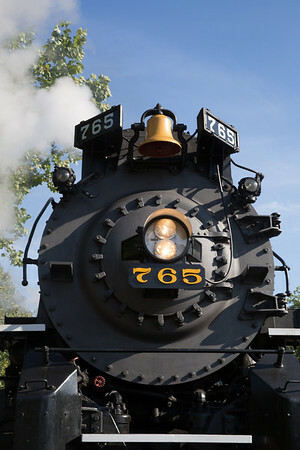 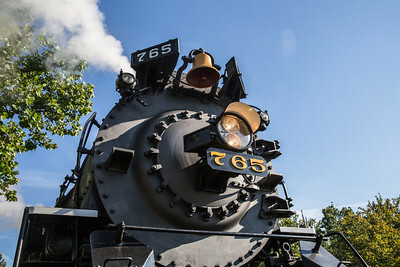 Head-on view of front of historic coal-powered steam locomotive No.1293 on its visit to the Cuyahoga Valley National Park.